It’s not very often that you can say you host a quiz at a venue where a celebrity owns the venue itself but Radio DJ Paul Fairclough can. The Plume of Feathers in Stoke-on-Trent is owned by non-other than Men Behaving Badly actor and Bob The Builder Narrator, Neil Morrissey. We spoke to Paul about his quizzes and what makes them work so well. Paul Fairclough iQuiz my own business and one venue I do for Unit One. I’ve been a DJ since the age of 12 and been on the Radio since 1977. I currently host drivetime on Signal 2 in Staffordshire which is part of UTV group who I’ve been a freelancer for now for 21 years, I’ve dj’d since 1977 too. Internet search then spoke with Jon and Steve at Unit 1 who I’ve known since hospital radio days. 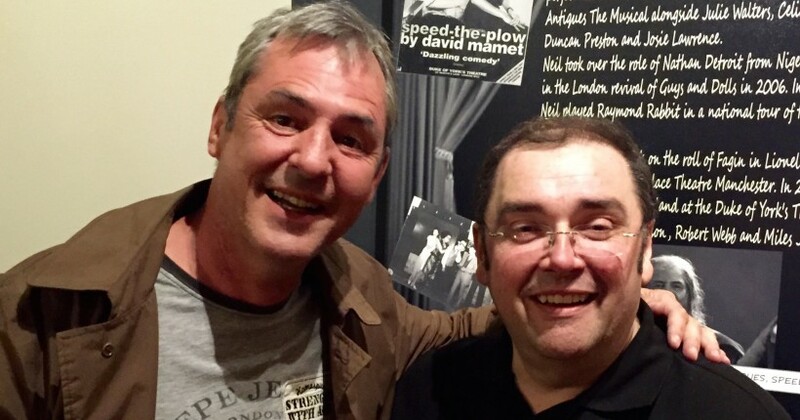 My main venues and Black Swan Rixton, Unicorn Wilmslow, Manor Stoke, Runway 27 at Manchester City Airport and Neil Morrissey’s Plume of Feather in Barlaston. Halal, is it meat your looking for! Neil Morrissey’s Plume of Feathers. I love all of them as I’ve got to know many of the teams and we have a really good laugh. What does Neil Morrissey think of the quiz? 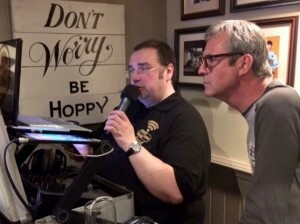 The pub originally had a pen and paper quiz, but when I met Neil during my radio show I explained the SQ format and he thought it was s brilliant concept, hence why he now wants it for the chain of pubs he’s rolling out. Has he had a chance to play it himself and was he any good? His brother and family have played and Neil assisted me as question master on the buzzer rounds, he said he’d much prefer to play than ask questions. He is a pen and paper question master at his local in London. He has sat and played since and really enjoyed playing it. 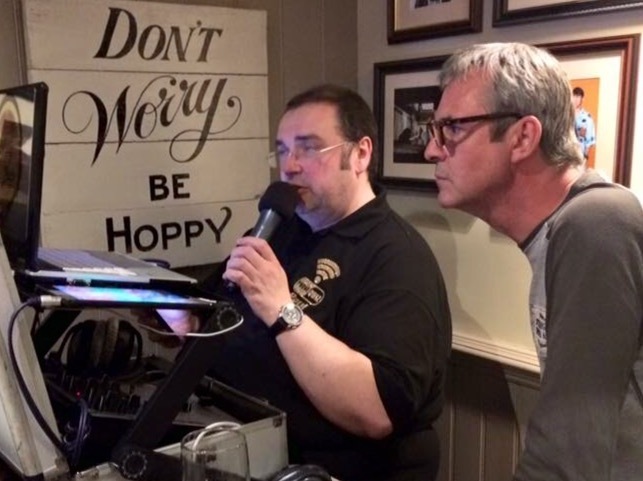 l’ve spoken with Alan about developing the software so it can be played in the radio as well as in the same time in a pub so I can make it part of my radio show. It’s fast and fun, I never look at the questions in advance so I get the excitement of playing too and making up jokes etc about questions on the spot. I make my own additional music and picture rounds, I also love creating customised quizzes for birthdays weddings or corporate nights . Be confident and please make sure you have a personality, Amy idiot can just read a question, but a pro host will turn it into a show making it engaging for all ages.